Climate change and environmental issues are pushing for the development of more sustainable fuels. The renewable ethanol sector and the production of second generation ethanol are important to help Europe achieve its goal of renewable energy by 2020 and 2030. Ethanol production can be costly and complex as different steps need to be integrated and optimised. Innovation: EARTO member IFPEN has been deeply involved in the Futurol project, aiming at developing a simple, robust and efficient second generation ethanol production process. This novel solution reduces the number of production stages and optimises the process while minimizing material degradation. Such process’ integration and overall optimisation are conducted thanks to a dedicated pilot plant in operation since 2011 at the scale of 1 tonne per day, which allows for testing of different feedstock. Impact Expected: Since the start of the 8-year project, 27 patents application have been filed. An SME has been created to support the development of this technology: Procethol 2G. 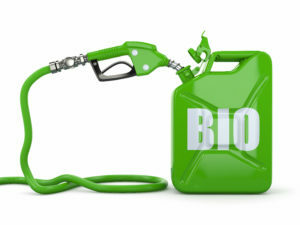 In 2030, the introduction of ethanol as biogasoline should reach 2 million barrels worldwide and the FUTUROL technology is expected to take a large share of this market.